It’s official! Our award-winning and ever-popular iGuy for iPad Air, all generations of iPad mini (including iPad mini 3), and iPad 2, 3, and 4 has passed the toughest testing to ensure it’s ready for daily bumps and drops. 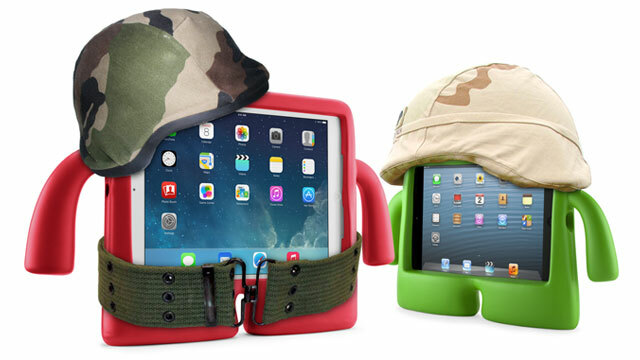 Your iPad goes through enough already, and you’ll need iGuy to withstand the best test yet- your kids! iGuy just joined our list of military-grade protective cases, which also includes our entire lineup for iPhone 6 and iPhone 6 Plus. This means that our iGuy was dropped from multiple heights at varying angles onto hard, unrelenting surfaces, ensuring that the device it protected received no damage to the drops. Say “hi” to iGuy if you haven’t already, and add him to your holiday shopping list for the tiny hands and butterfingers on your list this season!